A large part of the reason we have these amazing collections is due to massive amount of world exploration by wealthy industrialists, tradesmen, and philanthropists. Frederick John Horniman was a tea trader, and collected all sorts of things in his travels. The stuff he brought back captured the public imagination because it introduced them to international cultures they would otherwise have no idea about. We take global information for granted today because we all have access to internet resources in our pockets, so it is hard for us to grasp how unusual it must have been for people in 1948 to see frescoes from Ceylon temples for the first time. One of the fun side effects of this close encounter with the unusual is that oftentimes people preparing the specimens from overseas were only going by descriptions, and were not at all familiar with the species they were working on. A great example of this is the iconic Horniman Walrus, who was overfilled until he was wrinkle-free – in the style of a seal. There is an exhibit at the Grant Museum of Zoology at the moment discussing this phenomenon and featuring a lovely Stubbs painting of a kangaroo that resembles a giant mouse. Knowing how meticulous Stubbs was about his animal anatomy, one has to believe that this is exactly how he understood them to look and is not in any way an accident of the proportions. The topic of proportions and measurement brings me on to a study done by Paolo et al. in 2010, looking at the variation in measurements taken of a section of owl bone, so naturally the paper was titled How long is a piece of Strix. Comparative measurement is a fundamental part of species identification, so naturally one would assume a consensus of readings taken by professionals. The results were somewhat different: when working alone, the measurements were accurate. When working as part of a team, the measurements strayed, and the more people collaborating, the greater the disparity between measurements. As a science communicator both at the museum and through his blog, Paolo has had the opportunity to work on some interesting projects: he has advised BBC television series such as our patron Ben Garrod‘s Secrets of Bones and he has been interviewed for The One Show to explain why cats get stuck up trees (they can’t rotate their ankles). 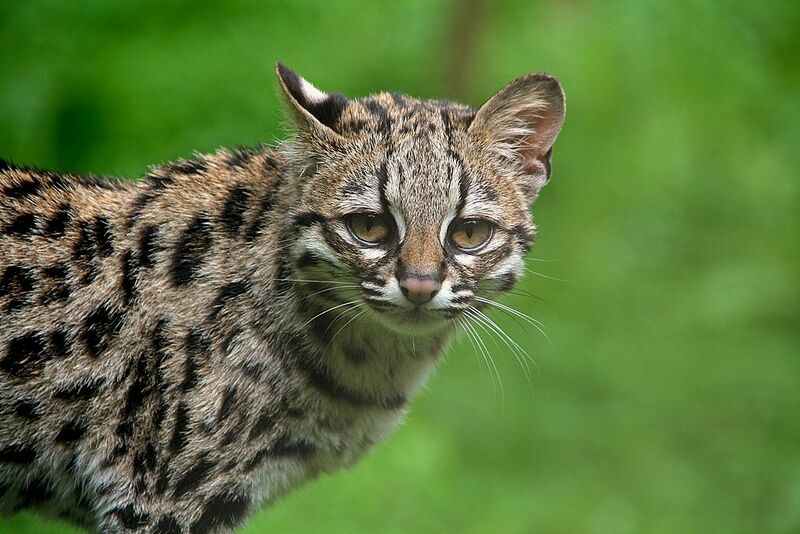 This allowed Paolo to introduce the viewing audience to the Margay (Leopardus wiedii): a cat that can rotate its ankles. 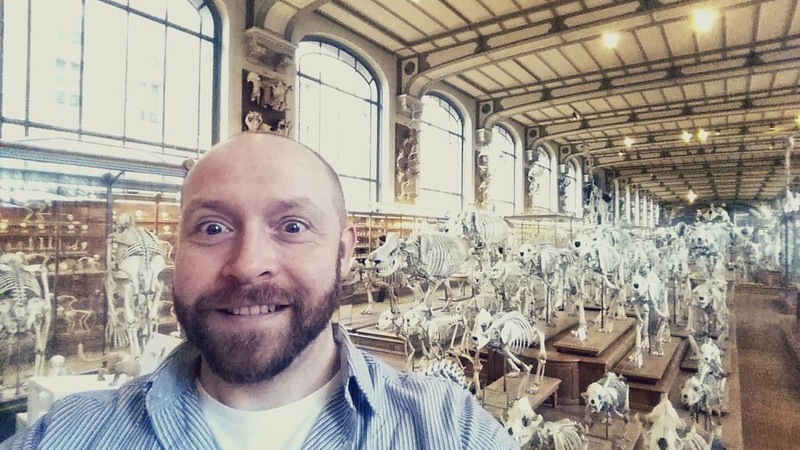 He has shared his love of osteology with 13-year-old fellow-blogger Jake McGowan-Lowe, which led to Jake publishing a book on the subject! To promote a recent Horniman exhibition on extreme animal adaptations, Paolo was subjected to the harshest elements in nature, which earned him the title ‘Extreme Curator’, and his very own Lego action figure. Where next for Paolo’s science communication? You’ll have to ask him at the next PubSci with Professor Ian Barnes. If you’re a fan of pleistocene megafauna (and, let’s face it, who isn’t), I wouldn’t miss it. 1. Depending on what it is you want to do with them and how run-ragged the museum staff are.